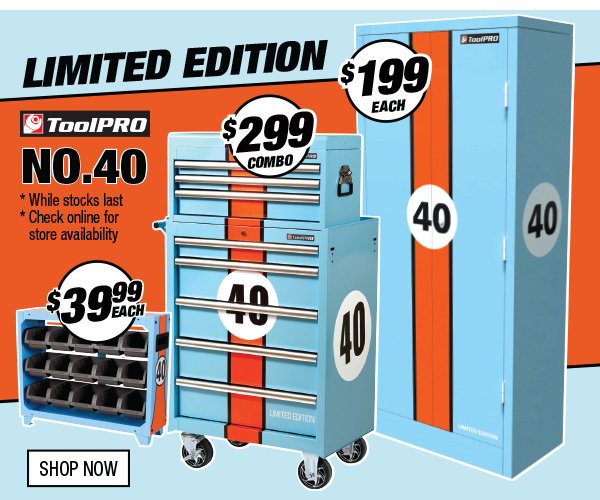 Supercheap Auto has a few Gulf inspired toolboxes etc in their latest catalogue. Supercheap Auto Catalogue - On Sale now! Unfortunately, shipping from Australia will probably double the cost. Guess they get nothing........ no gulf decals anywhere, just a blue with orange stripe toolbox..
Gulf Oil trade marked the colour scheme, so if they are using the correct shades they will have to pay. And one shade off, they don't!